Tim Atkinson is the Group Vice President for the ACS Group where he’s responsible for a 16 state region. ACS is a professional services organization providing IT consulting; staffing and workforce optimization solutions that helps optimize human capital investment to help you get the most out of your people. He spent parts of his career in The Big 8, worked for Cap Gemini and CGI before coming to ACS group. This is his fourth decade as a professional sales executive and leader in sales. Fred Diamond: Tell us about ACS Group. 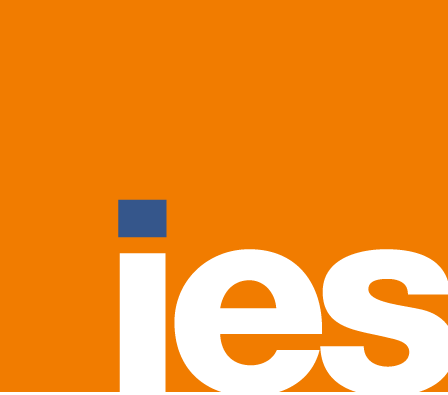 Tim Atkinson: I have been predominately in the professional services industry my entire career. ACS Group about a 20 year old company headquartered out of Duluth, Georgia with 12 thousand people, both here in the states and in several geographies around the globe. In fact, our most recent acquisition ten days ago brings us another 12 hundred, 13 hundred folks in India that are helping complement our global delivery capabilities. Everything we do is really around allowing our clients and helping our clients take best advantage of their human capital assets, whether that’s their full time equivalents or it’s their contract or consultant resources that they bring on board for specific initiatives. It’s an exciting time in the history of our company. We’re actually in the midst of a transformation ourselves internally. The company over its 20 year history has been a very acquisitive organization. We have acquired and in some cases built our own organic organization and capability but through our acquisitions, one thing we have not done and we’ve put our mind to in the last 12 months or so is trying to integrate the companies that we have acquired over the years into a common brand, a common culture both from a management leadership standpoint but also from a sales process standpoint, from a delivery process standpoint in terms of what we do for our clients and how we work with our clients. It’s a pretty exciting time in the history of the ACS Group, so I’m excited to be part of that team and as I said, excited to be here on the podcast with you. Fred Diamond: Very good. Who do you sell to? Tim Atkinson: Our sweet spot would be the middle market, even though I can tell you we have some very large enterprise Fortune 50, Fortune 500 logos in our client’s portfolio but I think our sweet spot is the middle market. Fred Diamond: Very good. Who is your customer? Is it HR? Is it a different type, the COO organization? Who do you physically sell to? Tim Atkinson: I’d say there’s probably three particular dimensions that we sell to and with different value propositions. We can work with and do work with a procurement organization directly and a lot of our business is driven through the procurement organization because their challenge is how to take advantage of and how to get the most out of their contingent workforce. Are they getting the best bang for their buck? We also work with HR organizations because some of our services also include helping clients identify and on board full time resources that can add value to their business. Then we also spend, I’ll say maybe the vast majority of our time working within the technology organization so everywhere from the CIO, CTO, down through program offices, enterprise architecture, application architects. It’s a diverse set of buyers, if you will, but we have different value propositions that I believe we can bring to each one of those communities separately. Fred Diamond: We’re going to talk about your career here in a second, but just curiously, you mentioned the word value prop, and now you have to have a different value proposition for the three audiences that you serve. You’re in a very competitive space, so how do you distinguish yourself from a sales perspective? How do you go out there and have people work with the ACS Group as compared to the hundreds of competition? Tim Atkinson: Part of it’s a price point, but I think it’s the value. The value is created based on a cost and a capability, and so I think the capability of our team in terms of understanding the unique needs of procurement, the unique needs of an HR organization in terms of identifying and qualifying talent and the unique needs of a technology organization as it relates to trying to keep up with and advance their own technology capability to support the business based on the rapid change that’s going on in the technology industry. I think it varies across the buyer community, but I think that’s how we try to distinguish ourselves is bringing a level of capability that they might expect out of a very large, global consultancy, but be able to afford based on our overhead structure and very lean and mean type of organization that we maintain. Tim Atkinson: I started in the Big 8 world and early on, I think I got the sense that the selling, the business development aspect of our business was much more of my ally and the partner in charge of that group who I still maintain a relationship with today I think saw that as well and so began to cultivate that in me and eventually he moved on to Cap Gemini and I followed him. And when I followed him, I moved from what was a senior manager into a role as a client services executive so I kind of – in the way some people put it – moved to the dark side and took up a sales bag and a quota and took up a very specific selling role. That was how I got into it to begin with, was maybe just the identification on the part of the partner that I had an aptitude for selling and I think just my own interest. I enjoy helping people solve problems and I believe that really is the crux of a selling proposition. 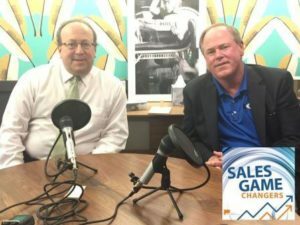 Fred Diamond: We’ve interviewed a number of the Sales Game Changers who started their career in consulting or in professional services and began to get noticed by management that they had a really nice, crisp, clean personality and a way that they could easily communicate the value prop that the company was trying to bring so I’m curious, what are some of the lessons that you learned when you made that shift from consulting into business development? Tim Atkinson: First and foremost is perseverance. I think you just have to have an attitude of never giving up. It’s a profession where you’re going to have some disappointments, you’re going to have some clients or at least opportunities that are not going to come your way but I think at the same time you have to be resilient and wake up the next day with an attitude that, “I’m going to make something happen today” so it’s truly in my mind just perseverance. Tim Atkinson: The only other thing I’d say and I think it’s maybe something I would leave behind as well for anybody listening, it’s also all about the network and I think you build your network within your organization. I think you build your network in the marketplace and I think paying attention to building that network, maintaining that network always enhancing that network, makes you a more valuable asset to whoever you’re going to run to next. Fred Diamond: What kind of advice would you give to a young Sales Game Changer who wants to take their career to the next level about that? What are some of the things that you’re doing today or you’ve done over the course of your career to ensure that your network continues to stay strong? Tim Atkinson: I think it’s taking some time as you enter an organization to identify those players, whether they’re above you in the organization, whether they’re on par or level with you in the organization or maybe even developing within the organization below you. It’s identifying those folks that are resourceful, that know how to get answers to questions, that know how to navigate the internal systems of your organizations as well as can bring value to in a team selling environment, bring value to a sales call or a sales event, whatever that event might be. But it’s in my mind, the most important thing you could do. Sales in my mind is a leverage game and you’re leveraging not only your individual knowledge but the knowledge you can bring to the table on behalf of your organization for a client. In my Ernst & Whinney experience, I truly believed in my mind that there was not a question a client could ask me that our organization couldn’t help the client answer, it was just a question of me identifying within the organization who had the silver bullet and maybe not a silver bullet, who had the nugget of information that I could share back to the client that would help the client advance their objective and Ernst & Whinney was a great example of an organization that just had that breadth of knowledge, you just had to figure out how to tap it and it was all about the network in terms of getting access to that knowledge. Fred Diamond: Tim, what are you specifically an expert in? Tell us a little more about your specific area of brilliance. Tim Atkinson: It’s a great question. If you ask anybody that knows me, they’ll say, “Expert? Huh?” but probably what makes my socks go up and down in terms of excitement in my career is helping clients solve problems and bringing what I believe is a pretty open and creative mind to trying to help a client see through their challenge and identify a solution that can help them achieve their objective. I don’t know that I would necessarily call it an expertise per se, but it’s helping the client look around the corner and anticipate what’s going to happen and design or craft a solution that’s going to help them address that challenge in the most efficient and effective way. I believe selling is all about problem solving and so having a degree of creativity, having a degree of out-of-the-box thinking I think can be a tremendous asset to the sales professional. Tim Atkinson: Two answers. I think identifying and finding a mentor in every stop in your career is important and that mentor does not have to be your boss. The partner in charge of the consulting practice in Washington DC was a mentor of mine in my first professional career stop, so much so that I followed him to the next stop but during my career at Cap Gemini, I identify the chief financial officer of the organization as a good mentor. He gave me a better appreciation, I can say, about the investment involved in selling a particular solution to a client and how do we measure that investment from a return standpoint, and how do we have an appreciation for our own individual corporation’s objective while also keeping in mind what we’re trying to do for our client. My first answer really is find one every stop but don’t necessarily just look for the leader, I think a mentor can be a peer, I think we can learn a lot from anybody within our organization but I think having an openness to learning whether it’s from a mentor or any of my peers is a pretty important attribute. Fred Diamond: Tim, what are the two biggest challenges you face today as a sales leader? Tim Atkinson: I think the biggest challenge is that the buying cycle that I might have understood and embraced several years ago when I began this career has changed dramatically. I think with the internet age, with the digital age, if you will, our buyers in the marketplace are much more enabled in terms of understanding the intricacies of potential solutions to their problem than they were before. There was a time where part of the sale cycle was educating our client. Well, the client has now got the access to information as we all do through the internet, etcetera but has access to information that goes so far beyond that portion of the sale cycle. You’ve got to recognize that you’re coming into a sales event probably much later than we used to be, in terms of the client’s level of knowledge, education and maybe even bias with respect to the solution they’re looking for. You’ve got to uncover that early on, as quickly as possible when you first engage with the prospect. I think that to me is the biggest, most significant change that is challenging all sales people today. I think the other thing is the challenging and developing sales talent. I don’t think – and this will be heresy, maybe – but I don’t know the classroom sales training is necessarily what it used to be. I’m not saying it’s ineffective, but I think the ability to grow and develop sales professionals is much more of a one on one, hands-on activity with people that have been there, done that, able to work with and coach younger professionals as they’re growing their career. There are so many different sales models, sales processes, sales methodologies and so forth in the marketplace. I’m of the belief that I don’t care which one you pick, but pick one and then work it because if you work the process, the process will work but you’ve got to apply the discipline and I’m not sure as a profession we’re doing that as well as we used to, maybe. I think it’s a challenge. Tim Atkinson: April 14th, 1997. We signed a $75 million outsourcing opportunity with a not for profit here in Washington DC. That was the culmination of about a 9 month pursuit, it was the culmination of a group effort, a team effort which involved more than 30 folks in the selling process. Sales people, delivery people, back office support and just the orchestration of that deal and ultimately the signing of that deal on April 14th, ’97 was just a very big moment for me and for a number of other people that were involved in the effort. There was nothing better. The thrill of victory was substantial, it was a large deal sold within our company that year and it was a significant effort. Fred Diamond: Good for you. Tim, you’ve had a great career in sales, you’ve talked about some great successes, given us some great insights. You’ve obviously thought through the sales process and how to be successful. Did you ever question being in sales? Again, you made a shift from consulting into business development in sales. Tim Atkinson, was there ever a moment where you thought to yourself, “It’s too hard, it’s just not for me”? So I would never question the career choice. It’s been tremendously rewarding from a personal standpoint, from a professional standpoint. Yeah, there are moments, there’s highs and lows but I think the thrill of the chase, if you will, and the satisfaction that I’ve gotten from client acceptance of our solution and then ultimately the opportunity to see that solution through to a business result, it’s the adrenaline that keeps you going. Fred Diamond: Tim, what’s the most important thing you want to get across to junior professionals to help them improve their career? Tim Atkinson: I think I mentioned it above, Fred. What I still believe is the most important trait or most important asset that a sales person can develop is their network and by that I’m not just talking about showing up for the breakfast events and the receptions and the council meetings and so forth, the chambers of commerce and all that kind of stuff. With the social media age, the network grows that way as well. I think just paying attention to that network, cultivating it for your own knowledge gain and then cultivating it for sharing and branding yourself are absolutely critically important. Tim Atkinson: I am a veracious reader and then I spend a fair amount of time sharing what I read through LinkedIn and other tools. My current team gets emails from me pretty regularly, almost daily, of articles I’ve read that I believe are worth sharing in broader knowledge. And again, it’s across lots of different topics. It can be functional, it can be technical, it can be vertical industry issue or it can be behavioral. Things to think about when you wake up tomorrow, or better yet, things to think about before you go to sleep at night. So I read a lot. Fred Diamond: I’m not going to put you on the spot, but is there any book you want to recommend to the Sales Game Changers listening across the globe? Tim Atkinson: “Great by Choice” by James Collins. Fred Diamond: Tell me about that book. Tim Atkinson: There’s just a variety of strategies there, one in particular that stands out is the 20 mile march and making sure that each day, you don’t have to go 100 miles but you do have to get up and go 20 miles in terms of the journey. Trying to overdo it and burning out and the next day not being able to get that 20 miles done can be devastating to achieving the goal. I mentioned perseverance and persistence up top in our discussion and it’s the same sort of thing. It’s having a goal each day, “What am I going to get done this day? How can I be organized to achieve that goal today?” and just hitting it every day. Fred Diamond: Tim Atkinson, what’s a major initiative you’re working on today to ensure your continued success? Tim Atkinson: Again, I mentioned at the top that we’re in the midst of a transformation within ACS. That is the major challenge we have right now, that’s the major initiative I’m working on along with many of my counterparts is how to bring us together as a common culture, common brand and sort of force multiply our capabilities for our clients. Right now, that’s the major initiative and that involves getting our sales force focused on what we’re capable of bringing to the table and how we position that with our clients, how to be particularly attune to what our clients are looking for in a solution and how again we help them to achieve their outcomes. Fred Diamond: That’s a big one. Tim Atkinson: That’s one that keeps us up at night. Fred Diamond: Good for you. With the 12 thousand person organization you mentioned, right? Good for you. So Tim Atkinson, sales is hard. We talked about that over the course of the podcast. People don’t return your phone calls, they don’t return your emails. We talked before about the fact that the buying cycle has changed dramatically and it’s also more difficult sometimes to get to customers and present your case, but why have you continued? What is it about sales as a career that keeps you going? Tim Atkinson: Client satisfaction. I think that there’s nothing better or more rewarding than to know that you’ve helped a client achieve their objective or maybe even over-achieve their objective. Or maybe just shared some information with a client that they were able to take advantage of and whether it helped them personally within their career journey or helped their organization advance. Clients never forget folks that can come to the table and add value to what they’re trying to do. I think – and if you were to interview any of my colleagues and over the span of my career – client focus and client satisfaction have been a pretty common theme. Fred Diamond: That’s a great answer. Actually, for the Sales Game Changers listening today on the Sales Game Changers podcast we talk a lot about sales process, how to be more professional, things you should be doing to get better, the one thing that comes up not infrequently is you’ve got to put yourself in your customer’s shoes. You’ve got to think about what they’re going through, how are you going to help them achieve their goals, how are you going to help them achieve their big challenges that they’re faced with and I love the way you pulled that together. Again, we’re talking today with Tim Atkinson. Tim, why don’t you round it out? Give us one final thought to inspire the Sales Game Changers listening to today’s podcast? Tim Atkinson: First one, and many people that know me know that I reinforce this all the time but it’s all about attitude. Attitude is literally the only thing that you individually can control about yourself and if you’re not waking up in the morning each day with some sort of a positive attitude about what I’m going to get done today then go back to bed. Take a personal day, do whatever it takes to recharge but don’t come to work unless you’re coming to work to make a positive impact and in a positive way. The other thing – and you sort of alluded to just a moment ago – the other thing that I found very important is listening to understand what your client is asking, what your client is expressing as opposed to listening to reply. Too often we get hung up in our sales track, our sales pitch and we miss the real crux of the message, the crux of the challenge that our clients face because we’re ready to pitch our stuff and not necessarily listening to what really is the problem or really is the challenge, or really is the opportunity and so I think we miss opportunities because we’re spending time formulating our response as opposed to listening to our clients. Fred Diamond: Tim, I have one last question before we wrap up here today. That comes up not infrequently. A couple of the past Sales Game Changers podcast guests have said you have two ears and one mouth and use them in that order. How do you, for the Sales Game Changers listening today, because you’re absolutely right. You see this all the time. People are nodding, “listening”, but you know it’s in preparation for them to say something, they’re waiting for the opportunity for the customer to stop talking so that you can say. Give us a tip, something that you’ve done over the years to become a better listener. What are some things people can do listening to the Sales Game Changers podcast to really get good at that skill, because you know what? It comes up all the time. Tim Atkinson: I think you need to be conscious of it, you need to remind yourself of it when you walk in the door, so you need to constantly reinforce yourself. I know that I remind my team when we go into a meeting to make sure that we’re listening to understand what the client is trying to convey. We’re not here just to pitch, we’re here to learn and the more learning we do, the better we’re going to be prepared to deliver a solution. It’s just a discipline around personal reinforcement because I need it sometimes, without a doubt, but it’s also sharing that with our team before we go into an event. I don’t know that there’s a trick to it, I think it’s just to be cognizant all the time.